If you have a passing familiarity with Star Trek, you’ve probably heard the term “redshirt” before. It refers to a random low-ranking crew member (always wearing a red shirt) who gets sent on an away mission with the main characters. The redshirt inevitably dies early in the episode. 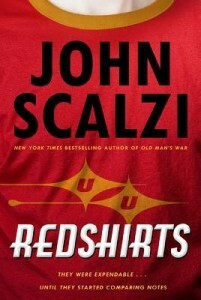 The novel Redshirts, written by prolific sci-fi author John Scalzi, lovingly pokes fun at this phenomena. Ensign Andrew Dahl is assigned to the Universal Union’s flagship, the Intrepid, and he soon starts to notice the high mortality rate on the ship’s away missions. His suspicions are raised when he notices that while the captain, the lieutenant, and the chief science officer are always on these missions and always come out alive (though often with dramatic injuries), a lower-ranking officer always seems to die pretty much as soon as the ship lands. Along with a few of his fellow new crew members, Andrew begins to investigate and is shocked to discover that things are not as they seem on the Intrepid. Even though I felt like the book started to lose steam around halfway through, it is still funny and entertaining. If you’ve ever seen classic Star Trek episodes, you’ll enjoy all the inside jokes and the way that Scalzi parodies the series. 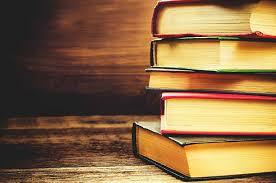 But don’t worry, this novel is accessible even if you’ve never seen a single episode. The humor still manages to come through, and the more poignant moments (particularly in the three codas that follow the story) will still move you. If you like sci-fi, space travel, Star Trek, or humorous fiction, I’d recommend giving this fun and quick novel a chance.